THREE BILLBOARDS OUTSIDE EBBING, MISSOURI is a darkly comic drama from Academy Award winner Martin McDonagh (In Bruges). 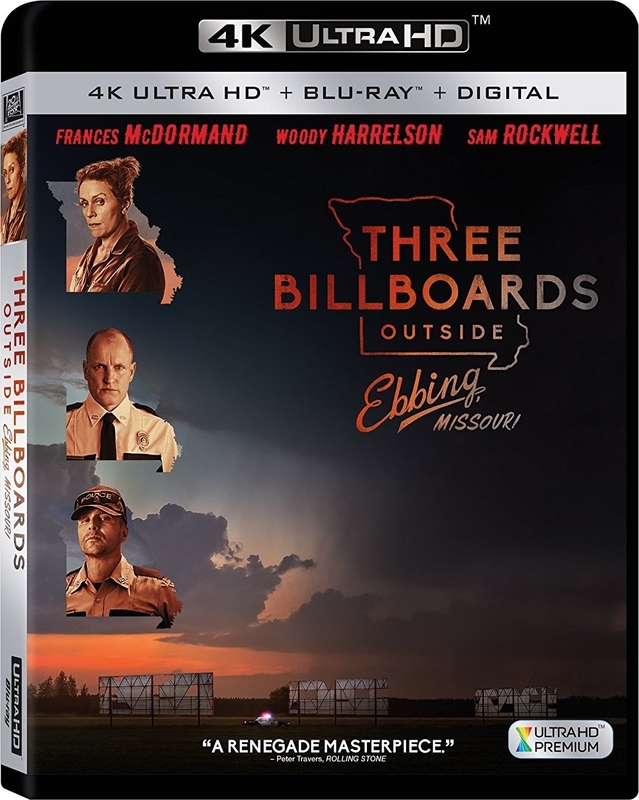 After months have passed without a culprit in her daughter's murder case, Mildred Hayes (Frances McDormand) makes a bold move, painting three signs leading into her town with a controversial message directed at William Willoughby (Woody Harrelson), the town's revered chief of police. When his second-in-command Officer Dixon (Sam Rockwell), an immature mother's boy with a penchant for violence, gets involved, the battle between Mildred and Ebbing's law enforcement is only exacerbated.